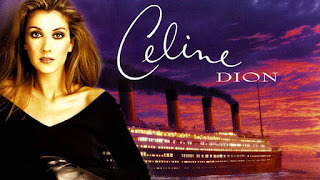 Celine Dion is a Canadian singer counted among the highest earning singers in history. Highly popular not just in her native Canada, but all over the world for her soulful and melodious voice, she is best known for singing ‘My Heart Will Go On’, the main theme song of the 1997 blockbuster film ‘Titanic’. The song peaked at No. 1 in several countries across the continents including Canada, United States, United Kingdom, Ireland and Australia and made her one of the most sought after singers in the world. This was the kind of fame and success even Dion herself would not have envisioned decades ago when as a little girl she was growing up in a large, poverty-stricken family. Talented and ambitious from a young age, she always dreamed of becoming a singer one day. As a child she began performing at the small club her parents operated and composed her first song in collaboration with her mother and brother at the age of 12. This song grabbed the attention of music manager Rene Angelil who was so touched by her voice that he mortgaged his home to finance her first record.